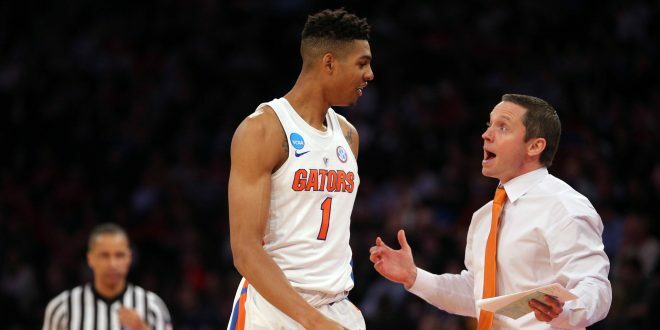 Former Florida Gator hoops star Devin Robinson did not get drafted when the NBA Draft took place a few days ago but he will get a shot at making an NBA roster. He has accepted an invite to play for the Washington Wizards in the NBA Summer League. 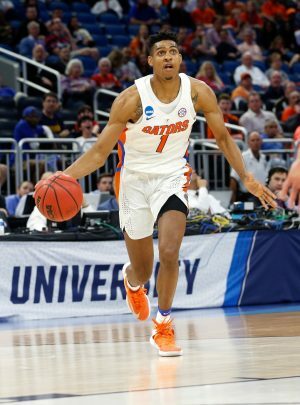 Robinson helped the Florida Gators to the Elite Eight in the NCAA Tournament. The junior out of Chesterfield, Virginia averaged 11.1 points and 6.1 rebounds on 39.1% shooting from beyond the arc; his size, defense, athleticism, and potential ability to be a reliable shooter at the next level are the main reasons why he can possibly make an NBA roster. 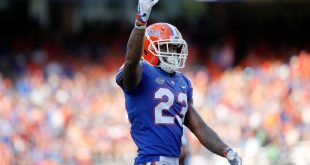 Robinson’s steady development over his three years with the Gators bodes well for his future in the NBA. His scoring, rebounding, blocking, field goal percentage, and three-point percentage all increased from year to year. Robinson has three main strengths; his physical attributes, shooting potential, and defensive versatility and upside. 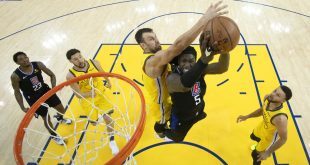 The 22-year old forward is an explosive leaper who can fly high above the rim. He is a great finisher around the basket and loves to leak out for easy transition buckets. He averaged 1.36 points per play in transition, which ranks in the 91st percentile throughout college basketball. Robinson also averaged 2.6 offensive boards per 40 minutes, which can be attributed to his long wingspan and leaping ability. 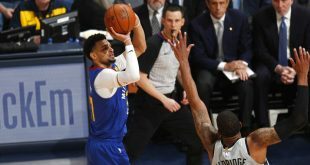 His shooting potential could be the deciding factor as to whether he can have a long and successful career in the NBA. Robinson’s three-point shooting went from 25.6 percent during his freshman year, to 34 percent during his sophomore year, to 39.1 percent during his junior year. He has a very smooth stroke for someone his size, and he is a more than capable spot up shooter. He averaged 1.04 points per play on spot up shooting, which ranks in the 74th percentile. Robinson also seems comfortable taking pull-up jumpers off the dribble, which could open up so many different aspects of his game. The shot is streaky, but if he can become a consistent shooter, he can truly carve out a productive NBA career. Robinson’s last major strength is his defensive versatility and upside. His length and speed allow to stick with just about anyone and he has the ability to switch on pick and rolls, regularly switching on to point guards during his time at Florida. 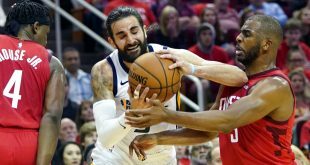 Teams value the “switch on everything” aspect of defense more than ever before because immobile centers have become the point of attack for all offenses. When teams put five shooters on the court, big men must be able to guard perimeter players. This is why there are only a handful of traditional centers playing big roles on teams (DeAndre Jordan, Andre Drummond, Hassan Whiteside). Robinson can easily play the small-ball power forward in a downsized league. He averaged 1.2 blocks per 40 minutes and took a team-high 17 charges for the Gators last season. Robinson’s durability has also never come into question, playing in all 105 games during his collegiate career. Robinson’s main weakness is his inability to consistently create open looks for his teammates. The former Gator only averaged 0.6 assists per game last season and throughout his entire collegiate career. He lacks court vision at times and his 4.8% assist rate is one of the worst out of any draft prospect. This could ultimately hinder his success. The journey for Robinson starts now, and it seems like he is certainly embracing the moment.